Providing visitors with the required information is one of our main tasks. We have an interesting range of catalogues and brochures available for your information, of which the following is a selection that you can order by E-mail or download directly. 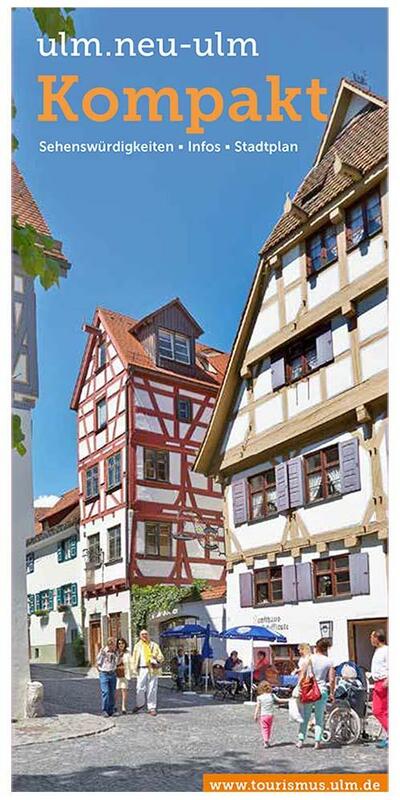 This folding map of Ulm and Neu-Ulm gives you an overview of all the information you need for your stay: calendar highlights, information about the museums, theatres, leisure activities and many other tips. No download available. 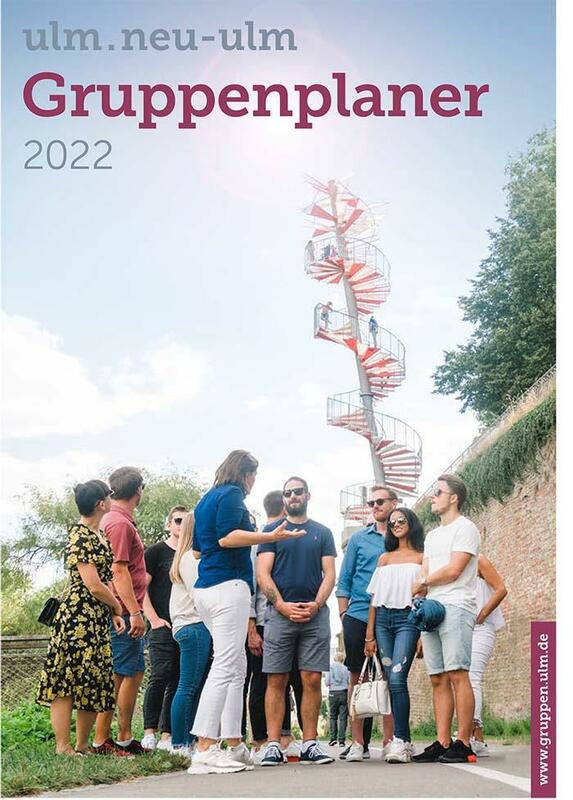 This brochure gives you and detailed overview of our 'Guided-tour-programm 2018'. Information about our discovery tours and the classic city tours. Only available in german. 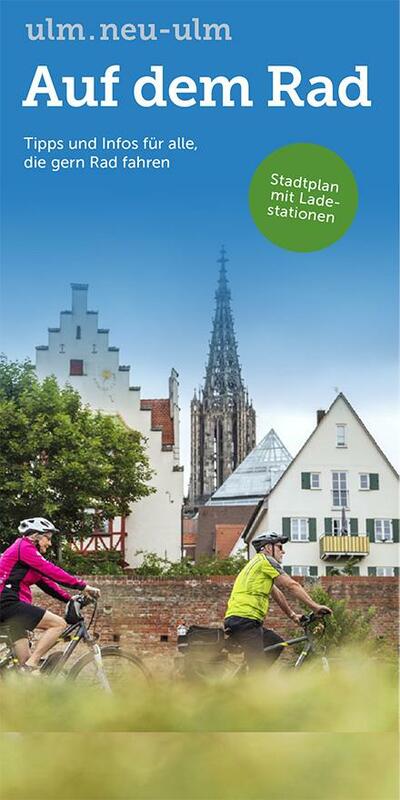 Discover Ulm and Neu-Ulm by bike. Either you explore the federal fortifications by bike or the lovely surrounding of the twin-cities. 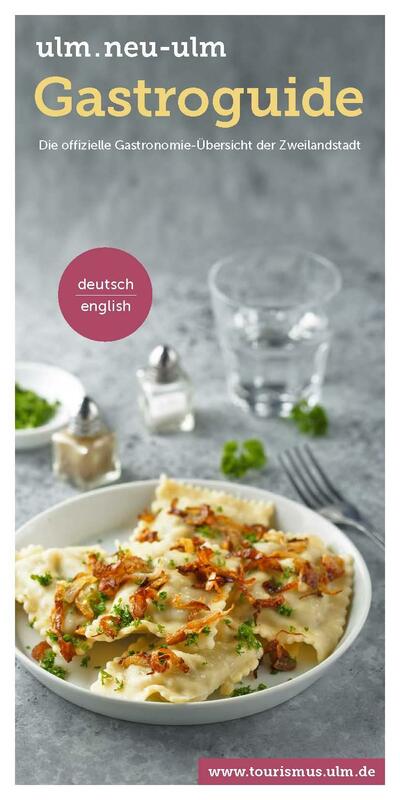 Available only in german. On this map we give you an overview of camping and caravan sites in the surrounding of Ulm and Neu-Ulm. Only available in german. The 'Sales Guide' is an information catalogue for companies specializing in group travel arrangements and for organisers of private group holidays. 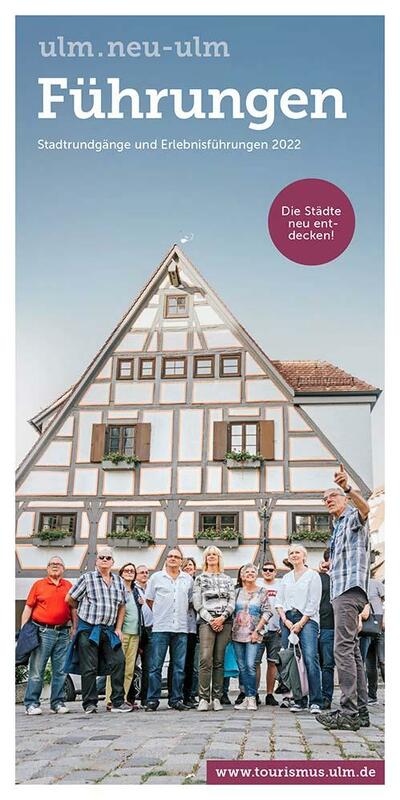 It includes tips and information on the organisation of group holidays to Ulm/Neu-Ulm. Only available in German. 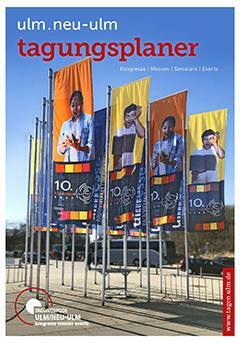 This brochure gives you an overview of the conference and congress facilities in Ulm and Neu-Ulm. You can choose the perfect location for your meeting or event.